In a time when the sounds of the late ’60s are highly influential on modern day indie rock, it’s great to see many of those classic bands coming back for tours to give their fans who were too young or not even born yet a chance to see them. 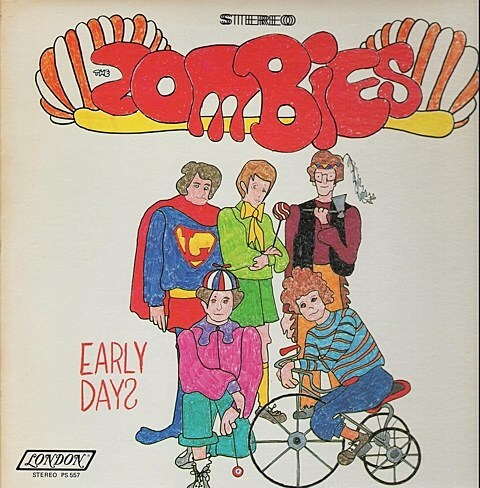 The Zombies are one of those bands, and I got the chance to see them in NYC back in 2011, which was great, but a part of me always wished they’d actually tour with one of the newer bands they influenced. Well, that’s finally happening, because it was just announced that Elephant Stone will be heading out as a support act with The Zombies for a few dates this March. The US dates that the two bands are playing together are all in Texas, and they include the Austin Psych Fest SXSW showcase on March 16 at Brazos Hall. The other two TX dates happen on March 13 at Kessler Theatre in Dallas and March 17 at Fitzgerald’s in Houston. While The Zombies are in Austin, they’ll be playing other SXSW shows, including one of the just-mentioned Waterloo Records free day parties. They play the one on March 16 with Ra Ra Riot, Indians, Mikal Cronin, Dawes, Fidlar, and Civil Twilight. Zombies go on at noon. These shows all happen before Elephant Stone heads out on tour with The Black Angels and Allah-Lahs (Elephant Stone frontman Rishi Dhir has played sitar in Black Angels) and that tour brings all three bands to Austin at the end of April for Austin Psych Fest. Elephant Stone also have dates in Dallas (2/24) and Denton (2/24) before Psych Fest.